Arnold Law, LLC: Abandoning Your Citizenship. If you or a loved one are a green card holder and you leave the United States and then wish to return, your trip must be for a temporary visit, not because your "real" home is elsewhere. Making your home in another country even for a short time can lead to the conclusion that you have "abandoned" your U.S. residence. Excessive travel abroad can and will adversely affect eligibility. Excessive travel can include one long trip or the accumulation of several trips over the period that precedes your admission as a U.S. citizen. Continuous residence means that the applicant has maintained residence within the United States for a specified period of time. To learn more about the ins and outs of “abandoning” your citizenship you should seek the counsel of Baltimore area immigration attorney Briana Arnold. 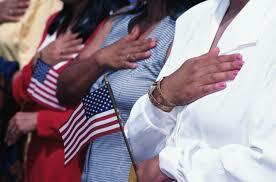 Attorney Arnold has successfully helped many people overcome denials based on alleged abandonment of citizenship. Please call (410) 484-1400 and make an appointment at her Baltimore office.